I used to have a full time job in a nice office, at an institution that I truly believed in. I stayed there for almost five years, and then I decided it was time to quit, pull up stakes, and move to a foreign country. That’s right, I don’t do things by halves. The people I worked with were so lovely, the location was great…but the repetition got to me. The regimented structure, the red tape, the slow moving nature of the place. And that was all about ME. The organization was terrific, what they did meaningful, and yet I felt stifled by the weight of the place. After that experience, and when I returned to Toronto to start life here again, I took another similar office job. It didn’t even occur to me that there could be something else. Crazy, right? Having the raw nerve and courage to live in a country on the other side of the planet where I don’t speak the language, and yet feeling like I had to play it safe, or stay in my (less than inspiring comfort zone) when it came to work. So, fast forward past a couple of personal work crises and epiphanies, and here I am, a full time entrepreneur (in a less than conventional field). And what have I learned? Well, I have come to understand myself a lot better, and to see clearly how I WORK, how I can be the most effective, and what areas need my attention and further development. I did some exploration of these themes with my cards, because, hey, why wouldn’t I? If you are feeling like you aren’t thriving at work, or in your business, or even in your hobbies or personal projects, you can ask the cards to shed some light. This spread gives you some insight into your work style, and how to navigate things if your current workplace really rubs against the grain. 1 – What kind of worker am I? 2 – What motivates me at work or in my business? 3 – What makes me feel depleted? 4 – What kind of environment do I thrive in? 5 – What am I good at? 6 – What area could use some improvement? 7 – How can I make the most of my skills and talents at work or in business? 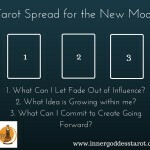 8 – Which card can I call upon to inspire me or keep me on track? My first look at the cards surprised me. Usually I get a heavy dose of Major Arcana cards in my own readings, but here we see only Minors, giving me the feeling that things are in my hands, I just have to do the work and manage things. When I’m reading the cards, I’m all up in that High Priestess, but when it comes to my work style, I have my feet firmly on the ground. Also, I see a lot of things that need to come to an end, so that some pretty exciting new beginnings can, well, begin. 1: What kind of worker am I? King of Cups – So this was a surprise to me! I usually don’t identify with the Tarot Kings…I am really at home with the Queens, the High Priestess, the Star…so its interesting that this King appears. He speaks to me of structure, and I have discovered that I work best within a structure, but it needs to one of my own creation rather than being managed by someone else and their goals. 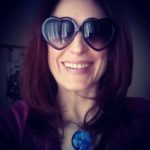 I also see commitment here, taking things very seriously, taking responsibility, planning, and yet, we are in the world of the emotional heart-centered Cups…I work best when I feel that I am giving something of value, that I’m operating straight from the heart, providing compassion and healing. But, it is time for me to step into that KING role, to be a true leader for my business. 2: What motivates me at work or in my business? Two of Pentacles – Another shocker! I see myself in this card, juggling two businesses (I’m a Tarot pro and a wedding officiant), trying to keep everything up in the air, worrying about keeping the finances flowing. I am doing it gracefully here, but it seems I’ve gotten into a loop. This is an excellent wake up call. I will revisit this card, and ask myself how I can shift out of this place, into that heart-centered cool as a cucumber King. 3: What makes me feel depleted? Ten of Swords – Yes, this is a pretty clear and graphic depiction of depleted! 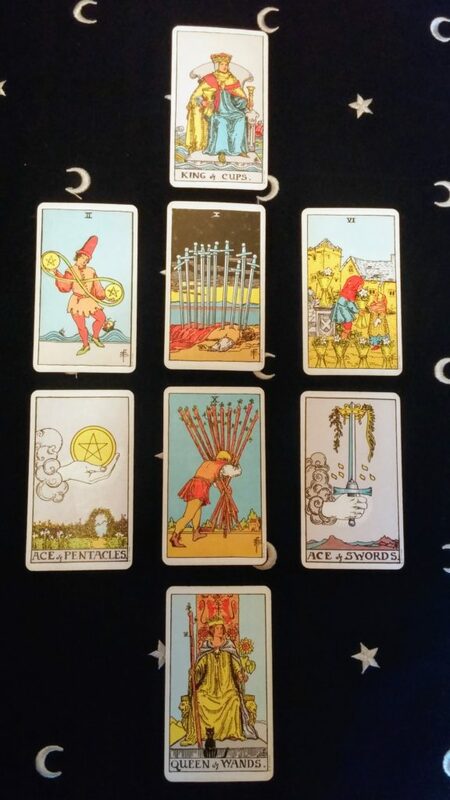 Overthinking things, agonizing over everything all the time, carrying too much stress, this needs to come to an end (spoiler alert, the upcoming Ace of Swords feels connected to what’s going on here). 4: What kind of environment do I thrive in? Six of Cups – Ah yes, back in the friendly world of Cups, a fairy tale world where everyone gets along and everyone is nice to each other. I do indeed thrive in that kind of world, and I can create that to some extent in my office and with my clients and colleagues, but the rest of the world isn’t necessarily like that all the time. It would serve me well to develop a thicker skin, to be mindful of protecting myself emotionally and psychically. 5: What am I good at? 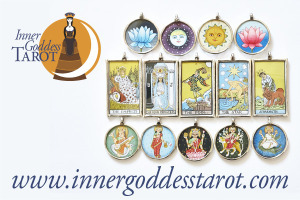 Ace of Pentacles – I like the connection here to that Two of Pentacles, it feels like I have the skills I need to stop that juggling act, and focus on helping my business to grow. This Ace tells me that I am good at creating a solid foundation and nurturing my creations, and yet my eye is drawn to that gateway that leads out of the garden…I have a balance between the practical and also being able to go on adventures outside of my comfort zone. Feels like an excellent combination that will support me on my path. 6: What area could use some improvement? Ten of Wands – So here is another one of those pesky Tens with their super clear imagery. I tend to take on too much, but in this case not in a graceful way. There must be a better way to manage my business, without the struggle that I see here, without any martyr tendencies. Couldn’t I put all those Wands in a cart or something? Or leave some by the side of the road? My current approach doesn’t allow me to see where I’m heading, and could burn me out. I hear this message and I’m on it. 7: How can I make the most of my skills and talents? Ace of Swords – Love this. Take ownership, make the most of my skills, use them in a smart and authentic way. 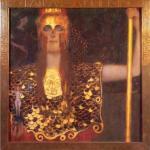 This Ace speaks to victory and success, and the path there is one of truth, ethics, communication and purpose. I have been told I can be somewhat intense, time to take up the challenge and go forth on my personal mission! Queen of Wands – Yes. I love this card, I resonate with her, I want to be her. It may take some time to get friendly with that King of Cups, but do I ever feel at home here. She is decisive, fiery, living with passion, fully in charge. This Queen is intense and focused, but also knows how to LIVE. Give this spread a try. I put it together myself, and yet I was surprised and given a good talking to by what appeared in the cards. The Tarot is a powerful business advisor, giving us the straight truth if we’re willing to see it, not pulling any punches, and yet always providing hope, solid guidance and inspiration. What’s YOUR work style? Where do you thrive and flow? What ties you up in knots? 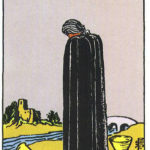 Let me know what you discover in the cards and in yourself. 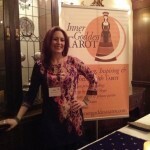 One Response to Ask the Tarot: What’s My Work Style? Awesome spread! Can’t wait to give it a try!